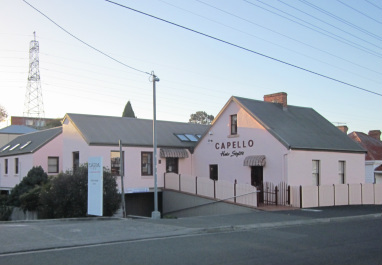 The clinic is situated at the rear of Capello Hair Stylists, a peach coloured building situated opposite the entrance to the K Mart / Coles car park on Risdon Road, between New Town Road and Swanston Street. We share a car park with Capello. To enter the clinic car park you will need to drive down the ramp which passes under part of the hairdresser's building.